With more than 350 mobile carriers, MoneyGram brings you closer to loved ones with simple, affordable mobile top-up. It's easy to add mobile minutes with our three step online service. Visit our online top-up service. Search for mobile provider or MoneyGram receive code. Pay the total including the fee with your credit1 or debit card. The entire process usually takes only minutes! Find your nearest MoneyGram location. Mobile number that you would like to top-up. Name of the mobile provider or the MoneyGram receive code. Pay in cash the amount you are going to top-up plus the fee. 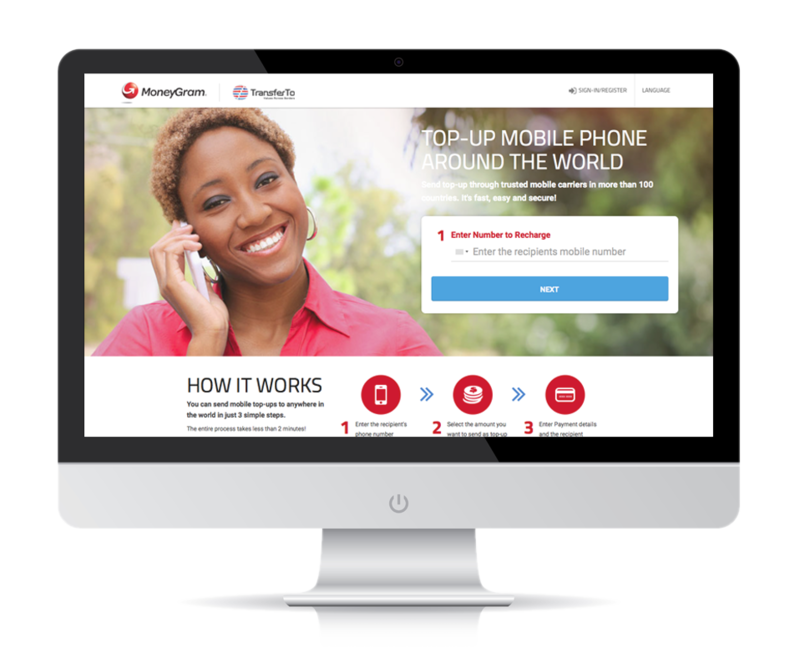 Why use MoneyGram for mobile top-up? With more than 350 mobile carriers, count on MoneyGram to keep you closer to the ones you love. Our mobile top-up service spans more than 100 countries, giving you the reach you need. 2 Subject to system and agent operating hours, availability and local laws/regulations.